What better place to safely store a saw blade than in the handle of your shovel? 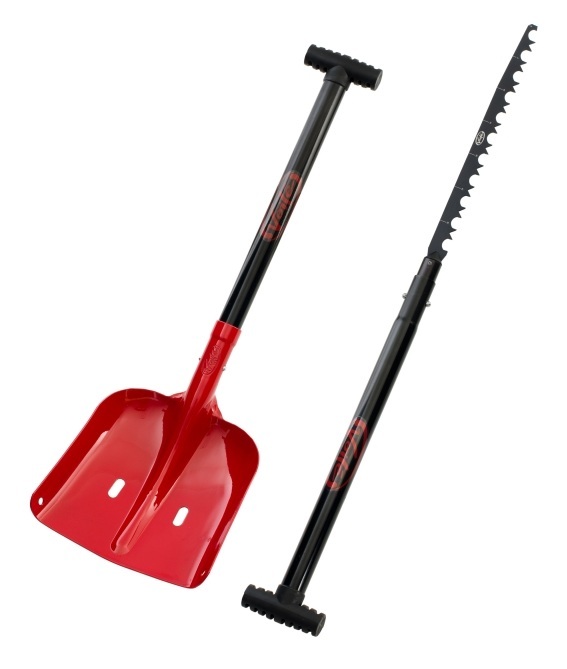 If you plan on isolating snow columns or cutting blocks for a digloo, make sure you're prepared with the T6 Tech shovel from Voile. It's very packable and easy to use. And oh yeah, it's durable, since the T6 refers to the aluminum hardness level, which is high enough for guides and rescuers to count on. 14 inch (36 centimeter) snow saw blade conveniently stows in the handle. 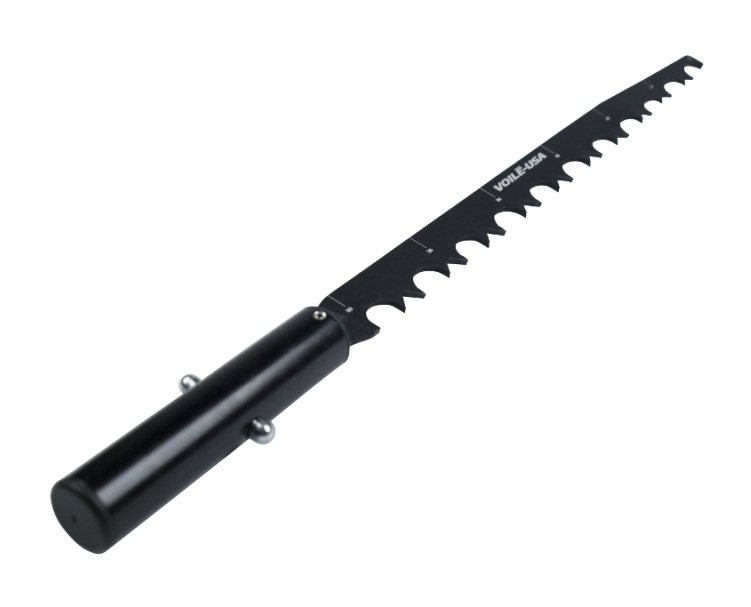 Saw can be used by itself or attached to the handle for extra reach. Increment markings every 5cm help you cut consistent size blocks. Holes in the blade can be used to build anchors or a rescue sled. 6061-T6 tempered aluminum is light and strong to cut through avy debris. 24.5cm x 24cm (9.6in x 9.4in) scoop lets you move snow in a hurry. Please note the blade is not designed for cutting wood like the T-Wood Mini shovel. Notes Innovative design hides snow saw in the handle. Super hard aluminum.